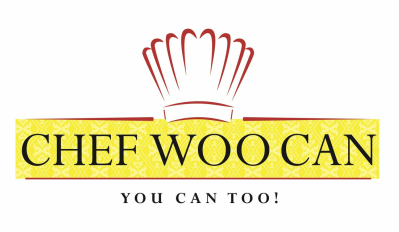 Chef Woo Can Food Critic & Blogger! Learn about what Chef Woo thinks as he critiques restaurants, and learn about what's happening with food styles. If you read my previous post, life is too short so you might as well enjoy and have fun with friends, relatives and associates. Everyone contributes a Hawaiian or Polynesian dish related to the theme of Hawaiian luau. Chef Woo Can will order the decorations and someone can offer the Hawaiian native music. If there are dancers, a little hula dance. What's missing? Hint hint Oink Oink!. Chef Woo Can will provide the Roast Suckling Pig with an apple in his mouth. Chef Woo will carve the suckling pig with the crispy seasoned crunchy skin and the succulent moist roast pork. Bring the buns and you'll have the Hawaiian version of pulled pork. A memorable experience for all and a fun time. Let me know your thoughts or interest? Aaah, Panera Bread. When I hear their name I think about all those commercials that they spend millions of dollars touting freshness. Well, to be really honest, let's point out the facts here. Panera Bread is not a local food establishment, Panera Bread is a multinational corporation that wants to make lots of profit. To achieve this, they must buy in bulk to get the lowest price and use as little labor as possible to keep expenses down. Now keep in mind that all the food products they order may not turnover as fast as they would like but at the same token they are not going to throw the food products out. We were having a meeting and the boss decided to order lunch from Panera. Menu was ok so I ordered the 10 vegetable soup and a spinach salad. It was delivered on time nice wrapped in plastic containers. The soup was ok, they probably opened a ready made can of vegetable soup and the spinach salad was ok but the dressing was very delicious. If you read my other blogs, you would know that companies are making their sauces really taste good. Finished everything but shortly after, my stomach was saying, help me! I wasn't feeling very good. Needless to say it was probably spinach gone bad. Am I surprised? Absolutely not. Can we do anything about it? yes, not go there. But the real reason should be to emphasize quality of food then finding all different was to present the food. When I say quality, downsize the menu to focus on those entrees that are selling good. All other entrees discontinue, because your customers will pay for it in the end and leave a bad impression. The public is aware of what's going on. Be smart. The food is institutionalized food! Rating on scale of 1-5 I give them a "1"
The weather has just been beautiful and the thought of not going outside for fresh air is unacceptable. You need to get up and take a walk outside. It's good for the mine and body. Well, a bunch of us went to the Red Brick Station Restaurant and this would be my 3rd time going. Service is great, atmosphere very relaxing and the waitress is very professional and courteous. This day I ordered the English version of Bangars and Mash. Yes, it was hearty but the wether outside was a tad bit chilly. Having the Bangars and Marsh would warm my soul. Yep, a Nice portion of Marsh Potatoes, nice brown gravy with 3 large bangars and 2 slices of tomatoes that were grilled to give it that complete look. and also tasty. There's a full bar, and I have to say all around, its the place to go to relax with a glass of beer or just relax eating a great meal. On a scale of 1-5, I give the Red Brick Station Restaurant a "5." Good food, good value, pleasant atmosphere and relaxing. It's Springtime, the weather is beautiful, the birds are out and the flowers are blooming. What a way to spend outdoors at lunch or go exploring new cuisines where your employed. I wanted something different and fresh and refreshing. Edorrito Asian Bistro was the target. I was there before and had the noodles and swore I would never have the noodles again BUT that didn't stop me from trying sushi. You would think I had a little wariness going to Poke Bowl in Bel Air. You can scroll through my reviews on them. BUT, I realize I can try a different place to see what I get. Well, this place is very clean, small but simple. They adopted the on line ordering. I decided to try the sashimi bowl. The choices on the screen made it easy to order. I ordered salmon sashimi and spicy salmon with yellow tail tuna. with a special sauce and some veggies. I got what I paid for. It wasn't cheap and I didn't expect it to be and I was pleasantly surprised that the sashimi came in nice chunks, very firm and delicious, you can taste the flavor of the salmon, the tuna was very fresh and cool, The sauce was a nice complement. I mean chunks or cubes of sashimi, it was plentiful and oh so delicious. The portion size was just enough for a refreshing lunch. I definitely will go back to try the burrito. In comparison, the Poke Bowl in Bel Air, MD they either pounded or ground up the salmon and gave you a fraction quantity like 2 tablespoons plooped on a salad. Terrible terrible. I highly recommend this place. Looking for light fare come visit Edorrito Asian Bistro. On a scale of 1-5 and 5 being excellent, this place get a "5"
Today Sunday was such a beautiful day, sunny, a tad bit windy but overall the temps were comfortable. Yes, it would be perfect timing to start Spring cleaning. My wife was keen on cleaning but my daughter and I convinced her to go as a family and enjoy a beautiful Sunday eating, hmmm Indian, Korean or Vietnamese. I had heard on the grapevine that the owner previously owned a Vietnamese restaurant at the Best Western on Loch Raven Blvd some time ago. And all of a sudden, he just abandoned the restaurant. During the time his restaurant was in operation, the food was excellent, delicious and never compromised on anything. I made every chance I had to frequent his restaurant. I was so depressed when the restaurant closed and neve heard from him in quite awhile. Until a little birdie mentioned this restaurant in Cantonsville, I decided to take my family there today. Hoping to expect nothing different, I ordered the Summer Spring rolls, the regular rolls, the famous chicken wings and my all time favorite egg noodles with shrimp and crabmeat. Now, you have to realize it took a good 45 minutes to get to this place. I NEVER travel 45 minutes to a restaurant if I didn't have an idea of what was being served and whether it met my approval. To make a long story short, since Vietnamese food is the new cuisine, I was in shock when I got my food. Literally shocked and disappointed. First, the Summer Spring rolls were bland. Very bland, just thin vermicelli, lettuce, and shrimp. No flavor what so ever. The dipping sauce was all Hoisin sauce, didn't taste have any peanut butter or coconut milk, maybe a sprinkler of crushed peanuts. Now, I'll tell you this, when I give you my Summer Spring roll recipe, I load it up with slices of fresh marinated roast pork, cilantro, marinated shrimp and crush shallots for a nice crunch. Second, the fried Spring rolls came and I can't even tell you what was in it. It's suppose to be rice vermicelli, ground pork, ground carrots with a dash of fish sauce and sugar. It was terrible! Literally no flavor! Usually the dipping sauce is the sweet chili sauce. No such luck. The fried chicken wings were rather small in size and the sauce was watery. My egg noodle soup with shrimp and crabmeat was terrible! Not only was there imitation crabmeat, I did not receive the fresh bean sprouts or Thai basil, or a jalepeno slice. The broth was from a can. AND the worst part of the whole experience, the place was packed. We had to wait about 15 minutes. The only bright part was the traditional Beef Pho, everyone including other Vietnamese patrons ordered the traditional pho. Thank God! If I was interested in Vietnamese food, I would think that what was served to me other than the beef pho was delicious but I'm here to say that other than the beef pho, the food had no flavor and don't appreciate imitation crabmeat when the menu says crabmeat. Cutting corners my seem alright now but eventually it will catch up with this restaurant. It's a shame, his previous restaurant was excellent. At this point, if you do go there, just order the various types of beef pho. That's it! because everything else lacked any flavor. If I want a Summer Spring roll with rice vermicelli and lettuce, and pay what I paid, I'm very upset. I travelled 45 minutes for cryin out loud! On a scale of 1-5 and 5 being the best, everything I ordered except for my wife's beef pho get a "1"
I think they should think about making good quality food that taste good then just focus on making s much money as possible. AND furthermore, the owner wants to expand his restaurant next door. Good Luck! ​If you never had the opportunity to try these delicious Vietnamese Summer Rolls, this Spring and Summer you gotta try one. But after you did, you might just fall in love with them. You might even be interested in learning how to make them. Tomorrow, I will be visiting our local Asian supermarket to see if I can get a good deal with some basic goods to make this delicious appetizer. -Rice paper preferably from Vietnam. -Char Siu Sauce marinade (To make flavorful roast pork). The Char Siu Sauce marinade applied to a pork shoulder with the bone in. Why, ok when you take all the meat off and left with the bone, just simmer the bone for about 6 hours and that is your pork stock. The bone provided natural collagen and great for your joints and skin. Portion control each batch and freeze. So, when your cooking and a recipe asks for stock, just use what you froze, its more nutritious that the pasteurized stuff. The other ingredients will be iceberg that shredded, shrimp that is par boiled whole and peanut butter. Cilantro would add some more flavor too. Make sure you have a crowd of anxious hungry fans. Reason why is that when rice wrappers are used, they need to be consumed that moment. Eating them later cold losses a little texture and flavor and in the fridge doesn't do justice. So wish me luck negotiating a price. I'll buy a limited amount to test the demand from you my readers. I'll convert my website to an e commerce site so you guys can order on line. But in the interim, when I get the prices, I'll let you know and can take preorders. Vietnamese Food is hot right now! If I was to tell you that Vietnamese food is hot right now, get ready for some very simple recipes that will dazzle your family and friends this Spring and Summer. From Vietnamese Summer rolls to the famous Pho, you'll experience the very unique flavors of this Southeast Asian delight. From the use of fish sauce to palm sugar to mint, coriander, pickled radish, all the ingedients can be gathered from me. just one click away. To ensure freshness to you my loyal readers, I will be converting my website to an e commerce website so that trust you have as Chef Woo Can will always provide the best quality ingredients, rather than make a trip to your local supermarket and find products that might not be 100% good quality. With Chef Woo Can website, just click and get your products within 3 days. Ingredients for Vietnamese food include rice paper for the supper spring rolls and rice vermicelli as part of the filler. You may want to learn how to make fresh roast pork using a fresh pork shoulder that will yield a pound or 2 of delicious marinated pork which can be vacuum sealed and portion controlled for future use. I recommend good quality and fish sauce is one of those ingredients. The use is along the same lines of soy sauce but a much more complicated salty flavor flavor. Very strong. Beef Pho broth uses beef bones that are simmered for 6 hours. Today, food manufacturer tries to make it easier by developing the flavors in Pho in a packet. Just add to to a pot of hot water and simmer for at least an hour. It's close but all the goodies that you add, beef brisket, basil, bean spouts, jalapeno, Hoisin sauce or siracha hot chili sauce and viola, you made your own pho. At first, I will need to order a limited quantity of goods to ensure freshness and track demand. But I'm pretty excited to move forward with an ecommerce site so you can order from me direct. Check out my first Vietnamese recipe on the Simple and easy recipe tab on the left. watch out family style restaurants! ​About a week ago my family went to the Iron Age Korean Grill on a Saturday night. We got there at around 5:30 PM and I expected to wait for about 1 hour. Needless to say this place was packed to the gills. It was a 2 1/2 hour wait. At 9 PM, people were still coming in. 1. Pay one price/per person and all you can eat. Imagine fresh beef bulgogi (marinated beef) placed on a gas stove in the center of the table along with all kinds of condiments like Korean sweet potato noodles marinated in sesame oil and mirin sauce, hot a spicy radish, kimchi and a delicious salad wih a red chili dressing, hot spicy but sweet and savory. Salad was fresh and lively. The premises was super clean and every 5 minutes, it was someone's birthday celebration. Music was entertaining and maybe a little loud with screen projection geared towards the young people or those looking for a bubbly atmosphere. The staff was very professional. The place didn't slow down until 10 PM. Offer something different yet tasty and flavorful, offer a good value and allow patrons get involved in the cooking process. Are you telling me that executives for Chili's, Applebees, TGIF, and othe food chains haven't researched what the public likes. As my family left, we were stuffed and satisfied and got our monies worth. I looked at my watch and it was 10:30 PM. I looked across the street and saw Chilis or Apple bees closed by 9:30 PM on Saturday. If there was any day to open late, it would be Saturday and stay opened late. With the family fast food, all I can think of fried food, processed with cheese and microwaved cooked. They betta wake up and smell the roses. Yes, a lot of the influence in food variety is coming from Asian, hey why not. It's time for a change. Things need to change, being more creative offering delicious dishes that are fresh and allow customers involved in the cooking process. The new generation is demanding more and those that want to hear and understand their life style will succeed. Oh by the way the restaurant again is the Iron Age Korean Grill in Catonsville off of Route 40. ​I get it! Business are in business to make a profit. I'm all for it but sometimes business practices are making us unhealthy. We are a sauce nation! What am I saying. In order for business to make a profit, they need to purchase products at the most inexpensive price hopefully without compromising on quality. The reality is that in order to purchase inexpensive product, 99% of the time that product is tasteless. As a multinational corporation or an entrepreneur, serving inexpensive food has no flavor and when there's no flavor patrons won't come back. So, they need to do something to take the product and make it taste delicious. You see our taste buds taste salty and sweet. So, a combination of both is the secret to a delicious meal. In the United States, unfortunately, multinational corporations research and development offer various types of preservatives and additives to extend the longevity of food products. The food products are so cheap and tasteless, the degree of sauces must be excessively salty or sweet. Our palates are so used to this, we take it as normal. Here's a challenge. Go a week without purchasing take out or prepackaged or fast food or family fast food and cook something yourself with just a dash of salt to bring out the true flavor of what you bought or add a dash of sugar. Guaranteed that after 1 week, your body will know how salty and sweet the food is when you buy your fast food meal. It will be so salty and/or sweet. Another reason why you should turn to me to make simple healthy meals. Whether its a healthy salad or honey mustard sauce for chicken nuggets or soy sauce on your favorite take out meal to fried seafood with tartar sauce or even cheese on everything. Do we actually taste the food or is the sauce overwhelming the entire dish? In light of that most of our favorite foods are fried and covered with sweet or salty sauces. Manufacturers can purchase really cheap cuts of poor quality products, deep fry it and add sauce and its delicious. The sad part is our bodies knows when poor quality food enters our system and tries to rid it out of our body. Now with chicken they offer grilled chicken on salad, but that chicken breast has been soaked in saline solution to provide moisture because the reality is when breast is cooked, its very tough to eat. So, you think its healthy but laden with tons of sodium? Go figure. We are programed with advertisements and persuaded to try a new product and we never question their intent of why manufacturers would be deceitful? We feel as long as it tastes good, its ok. Heavy gravies, sauces, dressings, condiments are highly saturated with salt and sugar. We love adding more sauce because it taste sooo good! I had the opportunity to visit Qdoba. I knew it was Mexican fast food but I also know that they serve huge burritos which I don't really enjoy especially for lunch. In terms of value, yep you get a lot in the burrito. My friends and I went in and I have to say I was impressed with the décor. The menu was a little difficult to read since this was a first time for me. I didn't want a burrito nor did I want the bowl, so I just ordered 3 tacos, a chicken, a pork and a beef taco. Every taco ended with a special sauce. The tacos were in a soft taco. First the soft taco was suppose to be heated up but it wasn't. Eating a taco when the shell is not even heated was simply terrible. The filling was plentiful I must say but the one thing that stood out was the filling had no taste. The taste was the special sauce placed on each taco. Other than that the filling was tasteless. Now for those that love Qdoba, I can see the value Qdoba is providing and the sauce is very delicious, salty and sweet and slightly spicy. I was just eating something just to fill me up. I won't be going back to Qdoba ever again. My rating for this fast food Mexican place on a scale of 1-5 with 5 being the best, I give this place a "1"